TONIGHT’S THE NIGHT! 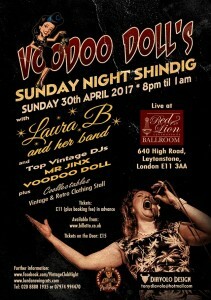 Voodoo Doll’s Sunday Night Shindig at The Red Lion Ballroom! 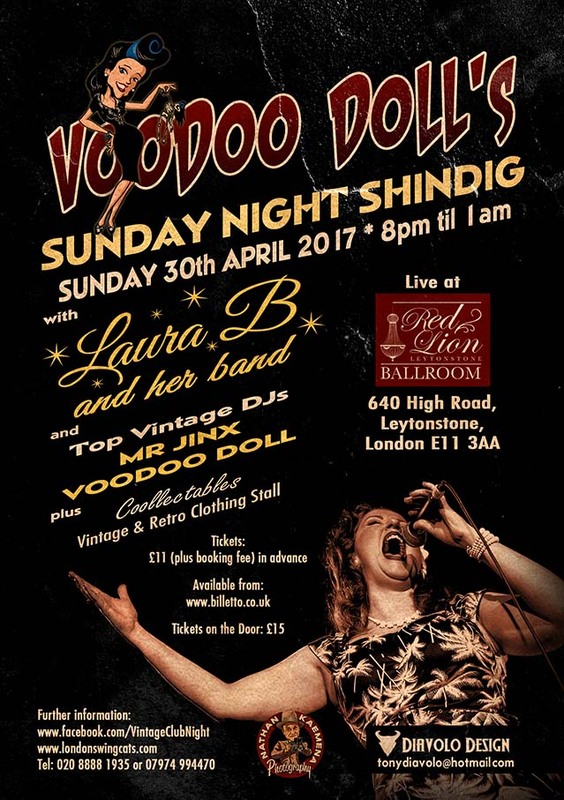 Posted on 30th April 2017 by Claire Austin Posted in Voodoo Dolls	. DJs Mr Jinx & Voodoo Doll will be on the decks at all other times. Plus La Riviera shoes & jeans / Coollectables vintage & retro clothing & accessories on sale. TICKETS WILL BE AVAILABLE ON THE DOOR – JUST TURN UP!